Lucca Decanter(P/N 150.22.00). This stunning etched decanter is hand-made from lead free crystal and features a scroll motif for an impossibly beautiful, elegant finish. 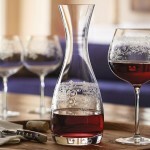 The decanter measures approximately 10 inches high by 5 inches wide, including the handle. 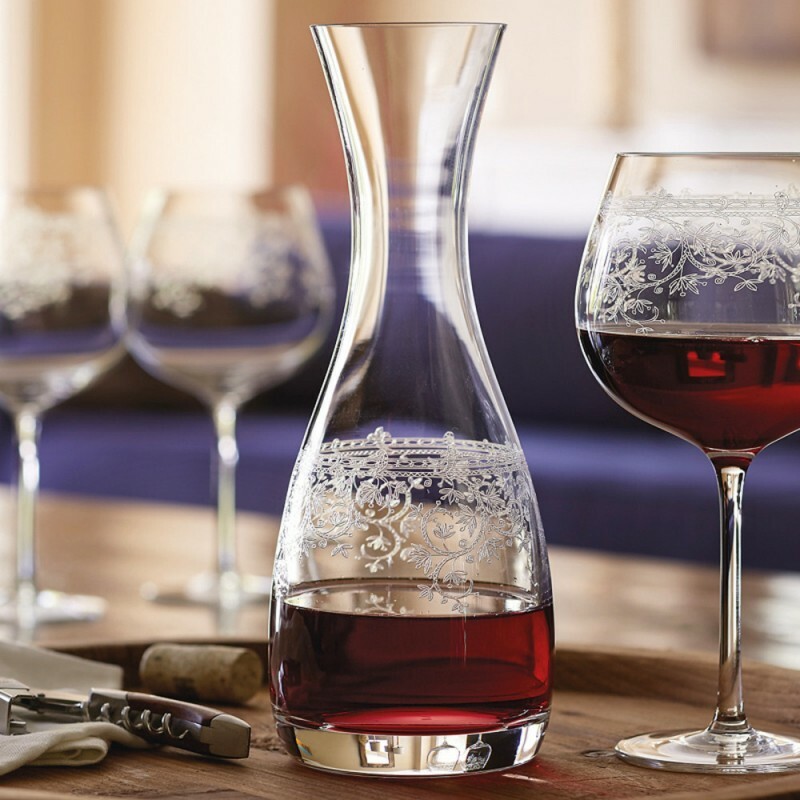 The decanter holds approximately 44 oz. Lucca glassware is made by the world-wide market leader of pantographic etched non-leaded crystal. Matching Goblets and Cafe glasses, as well as stemmed wine glasses, also available. 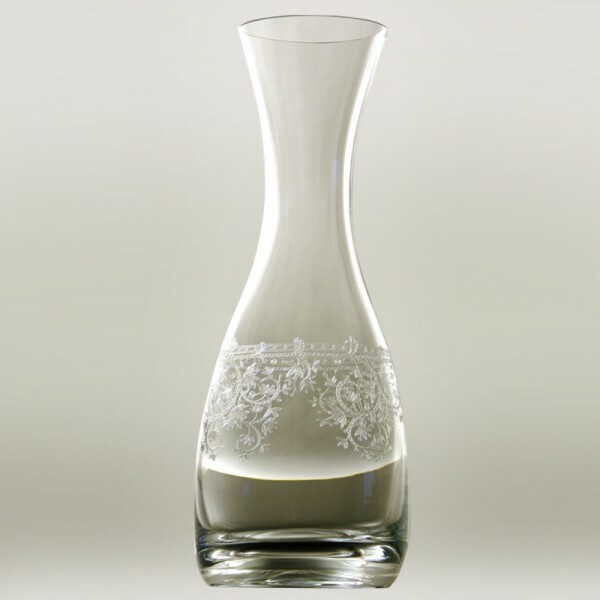 Our Lucca decanter, part of the Lucca etched glass collection adds a delicate, formal elegance to any occasion.